Once your project is complete, there are multiple different things you can do with it. 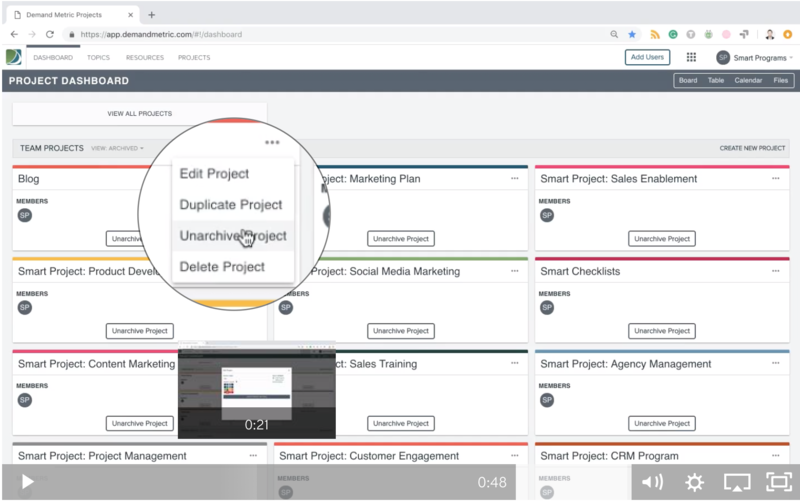 Open up the project dashboard, hover over the top right on any project, and you’ll see a drop-down menu with a few different options: Edit Project, Duplicate a Project, Archive a Project and Delete a Project. Change the name, colour and users. You may have projects that are very similar, but have different deadlines, users, or reference files. Instead of creating a completely new project, and adding all the details again, simply duplicate your recent perfectly executed project, and edit a few things! 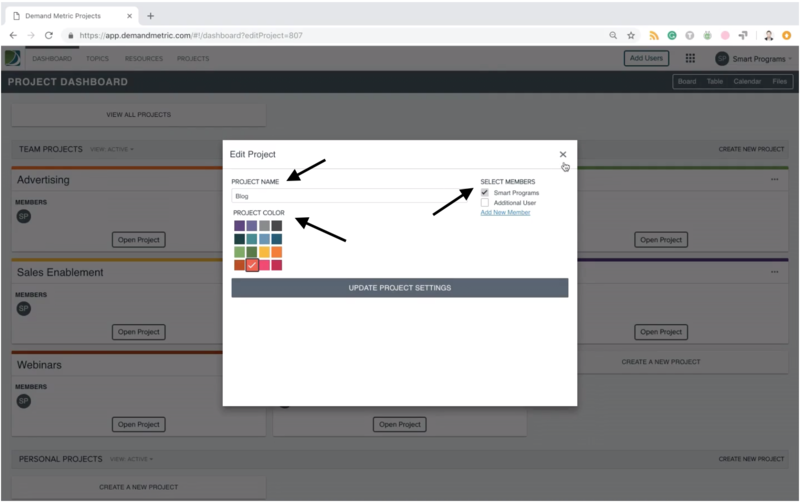 By clicking on this it will disappear from the active view dashboard, and move into the archive view where you can keep projects that you need for future reference. You can switch these views by clicking on the view options next to the “Team Projects” title top left. 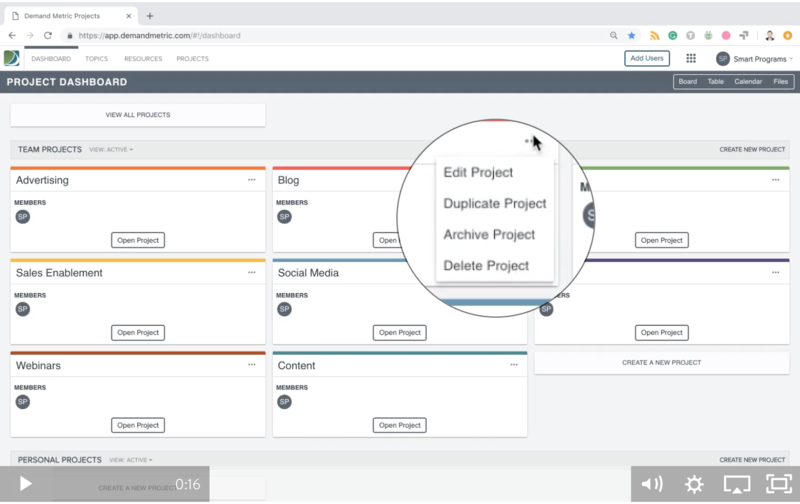 Within the archive view, you can hover over the top right project options again, and choose “Unarchive Project” and it will automatically move back to the active view project dashboard. If you never want to see this project again, simply click “Delete Project” (in active view or archive view), and it’s gone. With everything you have on the go, we’ve made it really easy to manage all your projects in one place! If you like this feature, you're going to love our Marketing Calendar.